Cardinal James Omolaja Odunmbaku aka Baba Eto is an exceptional person. His dynamism comes to the fore as he is able to juggle politics with running of his church. Odunmbaku who loves to adress himself as a ‘Cardinal’ is the founder of the Celestial Church of Christ (CCC) City of God Cathedral, Ojodu- Lagos. He is also the Chief missioner of the Soul Winners Ministries International that has its headquarters in Ibeju-Lekki. The very funky elderly man of God who clocked 70 years on September 4, 2016 has been running his parish located at Ojodu-Berger area of Lagos (South West Nigeria) for more than 24 years. The bold question many are now asking is that how has this 70 years old clergy been able to run a church and still play politics alongside. 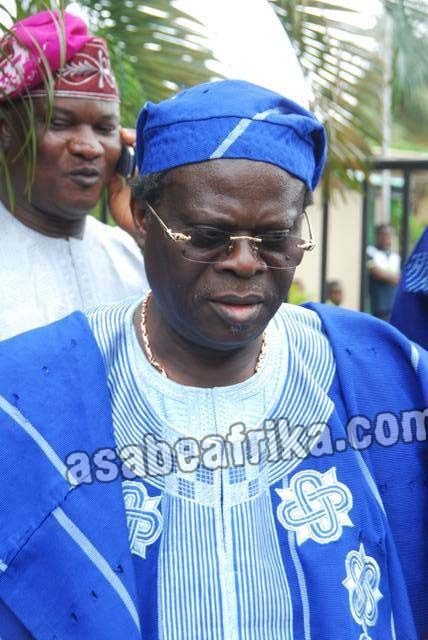 He is presently the Vice Chairman of the rulling All Progressive Congress (APC) in Lagos State. “He tames mammon by serving God and humanity. He is, therefore, a man of all seasons for his uncommon ability to successfully combine religion and politics for the benefits of mankind”. The Kabiyesi continued “He tames mammon by serving God and humanity. He is, therefore, a man of all seasons for his uncommon ability to successfully combine religion and politics for the benefits of mankind”. 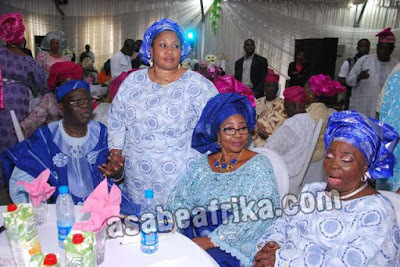 On September 4, Baba Eto’s church, Celestial Church of Christ, City of God Parish at Ojodu area of Lagos (South West Nigeria) played host to people from all walks of life who came to celebrate with him on his 70th birthday. 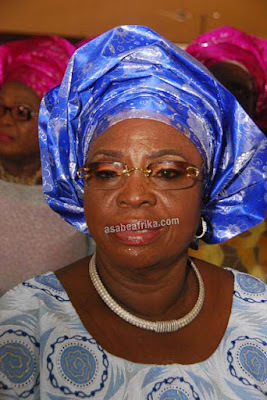 His aged mother, Mama Ajike Jimaina Odunmbaku also attended the Sunday church service which drew heavy traffic of visitors to his church. His Church, which is located down the road, off Akiode bus stop at Ojodu, espouses the doctrine of the founder and General Overseer of the Celestial Church of Christ, the late Papa Samuel Bilewu Oschoffa. One thing that stands the parish out is that Baba Eto is the sole financier; unlike other parishes of the Celestial Church of Christ where donations such as ‘Owo-Ikole’ etc are usually collected, Baba Eto doesn’t allow it. He simply believes that he should be able to support the work of God with his personal money. Even the work of God has added more feathers to his political cap. All his predictions have come to pass. He predicted the victory of more than 4 APC governors at the polls (Including Tinubu and Fashola of Lagos State) and they all came to pass. The cardinal while speaking with one of the top leaders of his church revealed that he has more than 20 hectares of land that serves as the Interdenominational Center in Ibeju-Lekki area of Lagos. His words “We have 20 hectares of land at 26 Lekki/Epe Expressway, called Soul Winners International Solution Ground. The center has been, in the last 11 years organizing the annual Pray for Lagos event which takes place every November where thousands of Nigerians gather to worship God”. 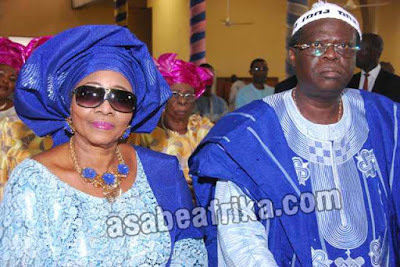 Though Baba Eto has other men of God, who run the church with him; among them are; Snr. Evangelist David Olusegun Odunmbaku (His first son), Special Reverend Mother Ranti Bada (JP) Special Reverend Adeolu Akintoye, Superior Evangelist Samson Olatunji and many others. Baba Eto’s 3 pretty wives also co-run the church with him, though they were not visible at the church’s thanksgiving service during his 70th birthday bash but investigation revealed that they play prominent roles as far as running the CCC, City of God, Ojodu parish is concerned. Baba Eto’s eldest wife is Mama Rachael Odunmbaku, she is in her mid 60s and has been married to him for about 4 and a half decades. 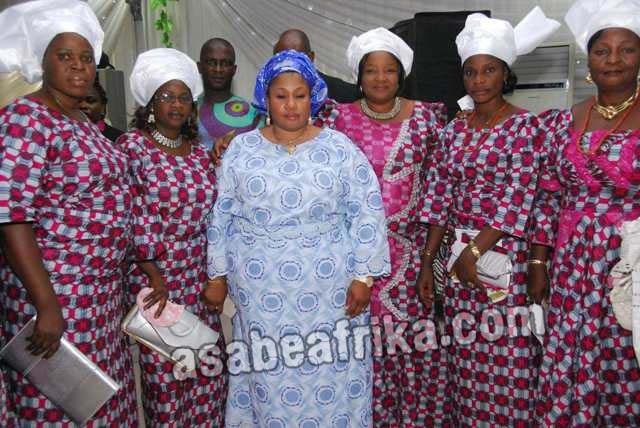 Her role in the ministry is to coordinate the other two wives. 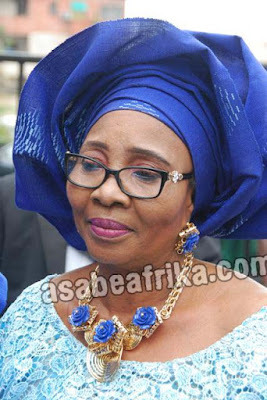 His second wife, a fair complexioned and beautiful lady is Reverend Mother Mary Oluwayemisi Odunmbaku while his last wife is Madam Olasinmi Odunmbaku, a politician and commissioner under the regime of Governor Olusegun Mimiko of Ondo State. 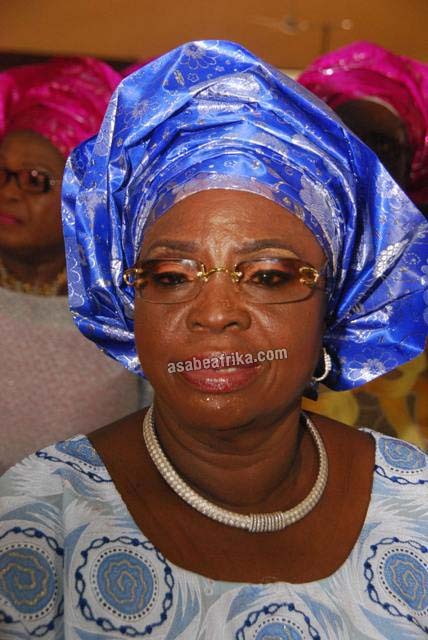 Madam Sinmi Odunmbaku is a PDP stalwart even though her hubby is a chieftain of APC. 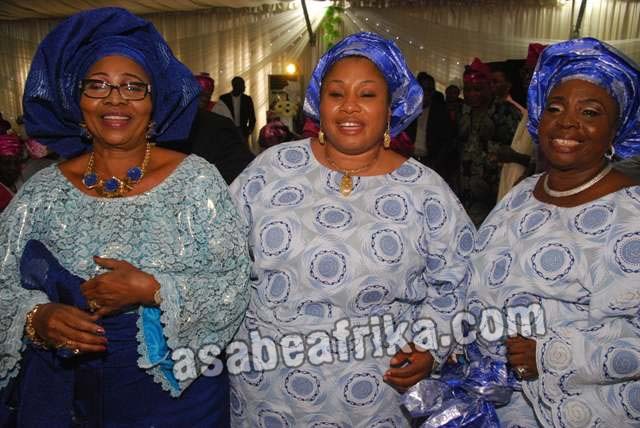 These 3 powerful women and mother of his children are alleged to be the strong pillars behind Baba Eto’s CCC, City of God parish church in Lagos. Baba Eto’s church is always of beehive of activities, attended by celebrities and politicians who subscribe to the doctrine and method of the shepherd-in-charge, Cardinal Eto. 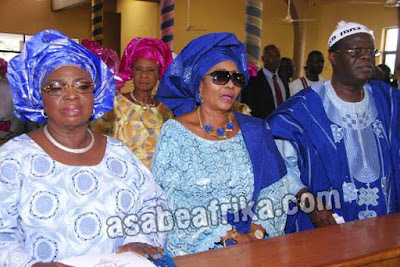 On the Sunday of September 4, 2016 which fell on Baba Eto’s 70th birthday bash, many visitors who attended the church found the service quite interesting. Right from the entrance of the church, smiling ushers were at hand asking people to put off their shoes at a secluded portion of the church. Slippers and shoes were taken from guests and kept in a more secured place. Baba Eto didn’t preside the service of the day as it was his birthday but his co-shepherds were around to pilot the affairs of the august event. The worshippers who look cool and happy were sparkling in their white Sultana attires decorated with various colors of ‘Amure’ (Loins). From color blue down to yellow, their dressings were outstanding. The choir of City of God Parish is a set of beautiful women and young girls. Their Sultana uniforms are neat as they sang to the admiration of worshippers. Their dresses were adorned with jewelry. They sang and danced to the praise of the Lord. They were quick to say ‘neatness is next to Godliness’, as they are always at their best to praise God for sparing their lives to witness the day. Another thing that captured the attention of guests inside the church that day was the slogan “Ask and it shall be given unto you”. City of God parish does not only play host to politicians as many celebrities also attend the church, said a source. 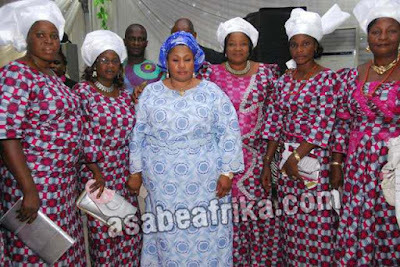 Among them are; Mother-Celestial Harriet James, Olamide Ogunniyi, Prophetess Damilola Oluwatosin, Mother Celestial Agnes Oginni, Mother Celestial Florence Sotonu, Mother-Celestial Wunmi Agbeye, Mother-Celestial Lola Jackson Famuyiwa, Oyindamola Osidele, Okegbenro Oluwakemi, Oladipo Adeola, Prophet Olufemi Oluwole (Los Angeles), Councillor Funmi Ademilua, Akinadeju Imole-Ayo, Adesanya Sarah, Adesanya Esther, Adeola Ayaba, Olamide Ojo-Oba, Ayodele Kikelomo, Ayodele Simisola, Odunlami Yinka, Ariyi Adetola, Adebayo Oluwatosin, Oyekan Seyi, Adesiyan Titilayo and a host of many others too numerous to write about.